Why Should You Open a Business Checking Account? A business bank account establishes your business as its own entity that’s completely separate from your personal finances. This separation is essential for protecting your personal assets. For more information on why you should open a business bank account, check out our guide. Before deciding on a bank, we encourage you to explore the pros and cons of national and community banks. National financial institutions have more locations, making them a good choice for businesses looking to expand. Larger banks also tend to offer more sophisticated financial services. However, community banks get higher satisfaction ratings due to more personal customer service, which may make them a worthwhile option for small local businesses. It’s important to consider the unique needs of your business before choosing a bank. Learn more about the differences between national and community banks by reading our guide. Personal Identification: Any form of government-issued photo identification (e.g. driver's license, passport, etc). Some banks may require a secondary form of identification (e.g. utility bill, credit/debit card, etc). Tax Identification Number: Multi-member businesses must provide their Employment Identification Number (EIN). Sole proprietorships and single-member LLCs may provide their SSN or ITIN (for non-US citizens) instead of an EIN. Documentation of Business Registration & Compliance: Unless you’re a sole proprietor, you’ll need to bring your business formation documents (Certificate of Formation, Articles of Incorporation, etc). Businesses that require licenses or permits should bring proof of these as well. Operating/partnership agreement: Depending on your business structure, you may also need to provide your bank with a written operating agreement or partnership agreement. Assumed Name Certificate: If your business uses a DBA (Doing Business As) name, your bank may need to have your Assumed Name Certificate or equivalent document (e.g. Trade Name Certificate, Fictitious Business Name Statement, etc) on file. Applying for a business bank account online is typically more convenient than applying in-person. Not all banks offer this method of application, but many are beginning to (Bank of America, Chase, Citibank and Wells Fargo to name a few). It simply involves providing the documentation above in digital form, or inputting the information from these documents into an online form. Some banks may allow you to start the application process online but require that you bring your business documents to a physical branch location before officially opening the account. 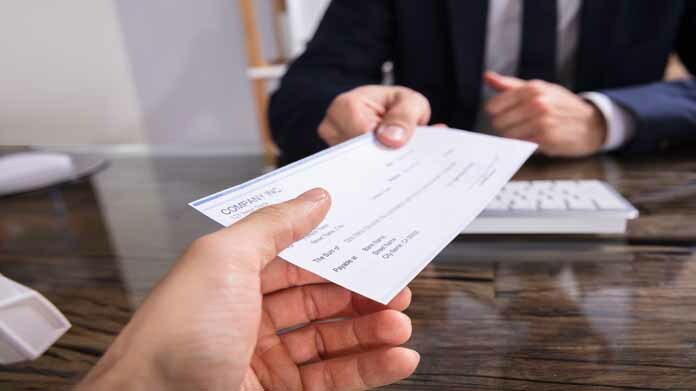 It’s also important to keep in mind that you’ll be required to make a minimum initial deposit upon the finalization of your business bank account. Applying at a physical branch of the bank of your choice is the traditional way to open a business checking account. Simply bring copies of the documents outlined above to a nearby branch location and ask to speak with a banker who’s qualified to get your account set up. It may be worth calling ahead of time to confirm the documents you need to bring, and ask whether or not all the members of your business need to be present.